insideout is a global art project transforming messages of personal identity into works of art. Upload a poster. Receive a Poster. Paste it for the world to see. PARTICIPATE NOW. December 2011. Action in the township of Alexandra in Johannesburg, South Africa. Beautiful !!! visit on FACEBOOK. GET INSPIRED! A large-scale participatory art project that transforms messages of personal identity into pieces of artistic work. 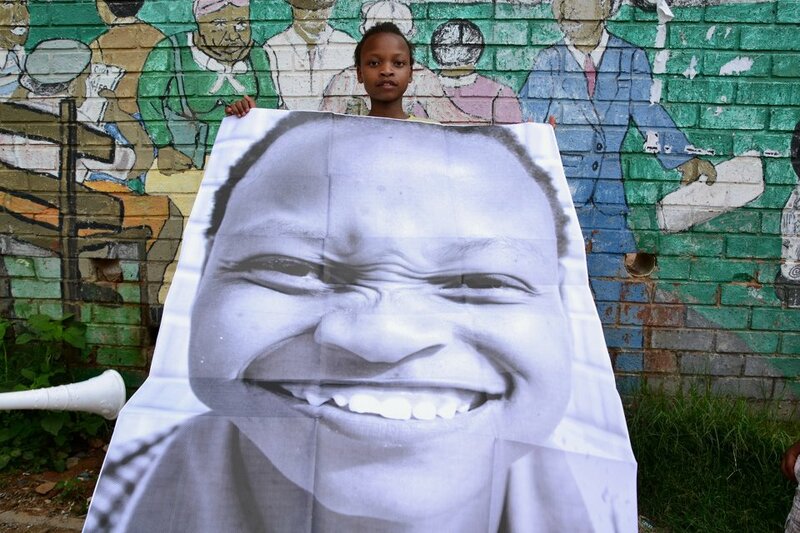 A collaboration between the artist JR, the TED Prize and you! 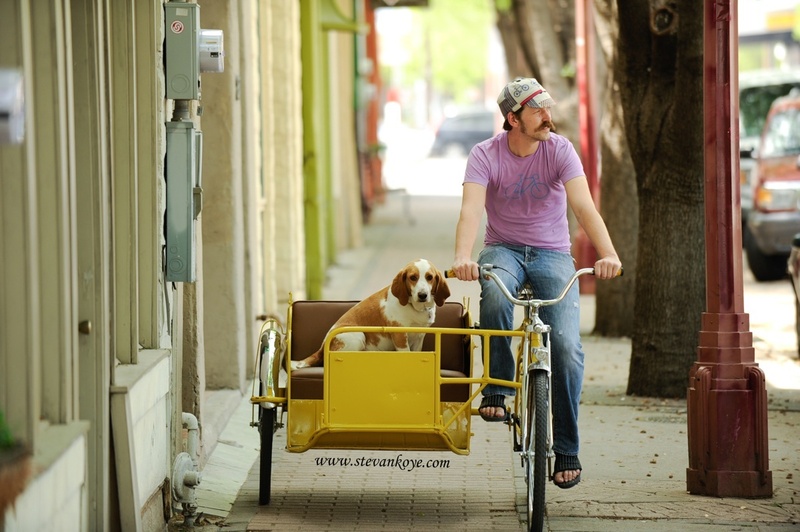 DALLAS CYCLE STYLE is looking for half a dozen photographers who are available to shoot for a few hours on Saturday April 21st 2012 (Earth Day weekend!) 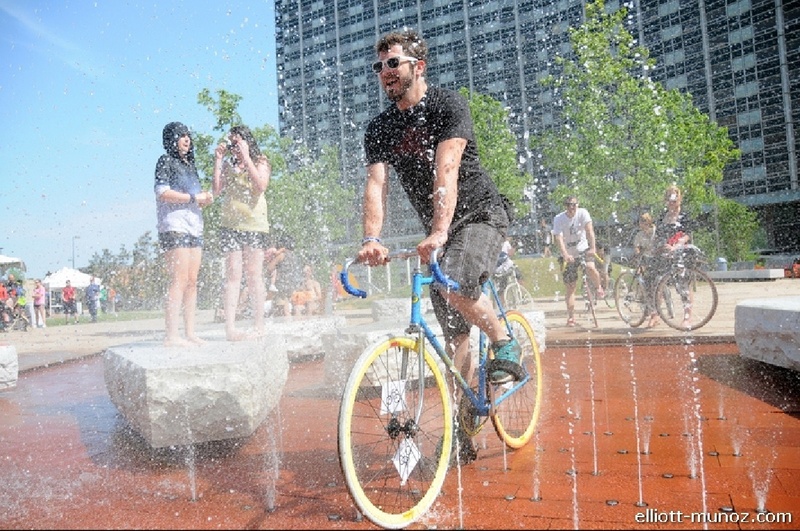 The GOAL: to create artistic/professional photos of cyclists around town for our 2nd annual Cyclist Census. Photographers can choose their own locations if they have a good spot in mind to catch some everyday cyclists (not necessarily the spandex-in-training cyclists, though that’s fine too) or – we have a list of some good spots they can choose from. 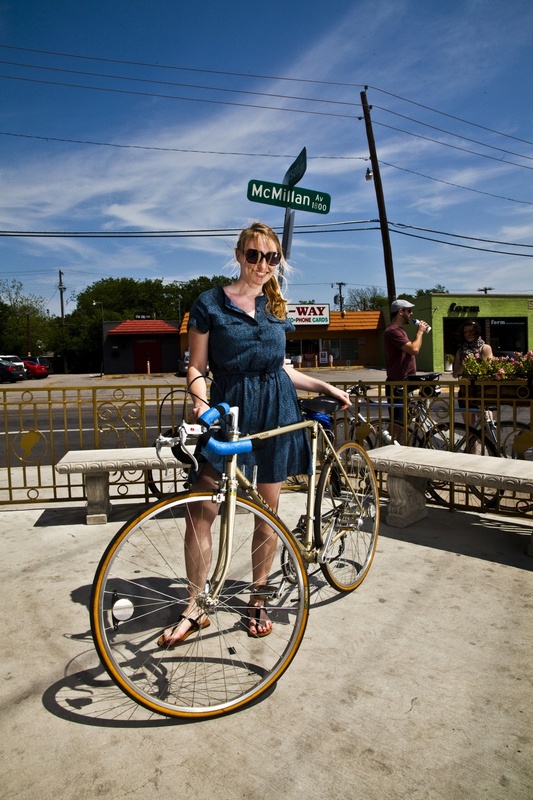 We’re looking for the 2012 Face of Biking in Dallas and as we found last year, a talented photographer can steal the show. So…this year, we’re making it a photo competition too! 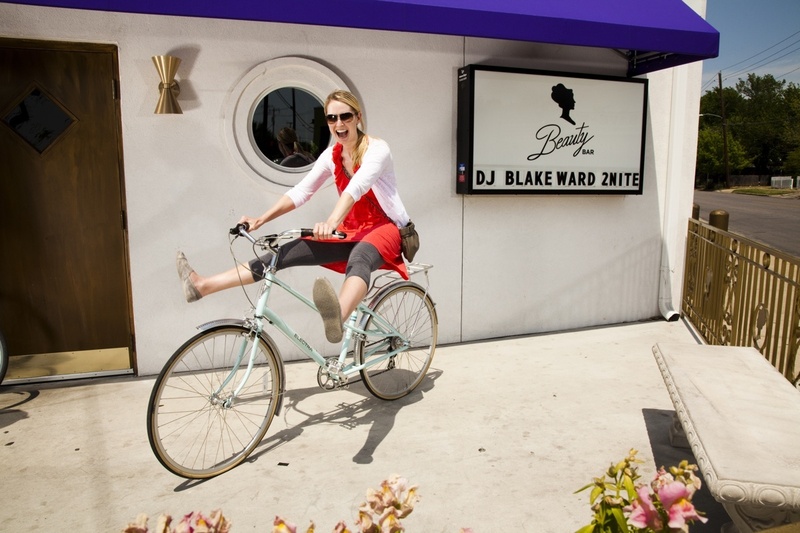 We’ll have prizes for 1st through 3rd and honorable mention winners (chosen by a panel of professionals), as well as the People’s Choice Face of Biking in Dallas winners announced at the Cycle Style Fashion Event April 28th, 2012 – 10pm at the Continental Lofts Gallery in Deep Ellum. Here’s an idea of the types of photos we’re looking for (fun! colorful! exuding personality!) Lights, reflectors & assistants are all allowed. The commitment will involve picking up the release forms and sandwich board a week or so before the day of shooting (from either a North Dallas or Oak Cliff location) and then dropping-off your signed release forms, sandwich board and CD/DVD/returnable flash drive with hi res image files at same location before noon the Sunday after the event. It will involve a pretty quick turn-around to get the photos up for online voting before the winners are announced at the next Saturday event! 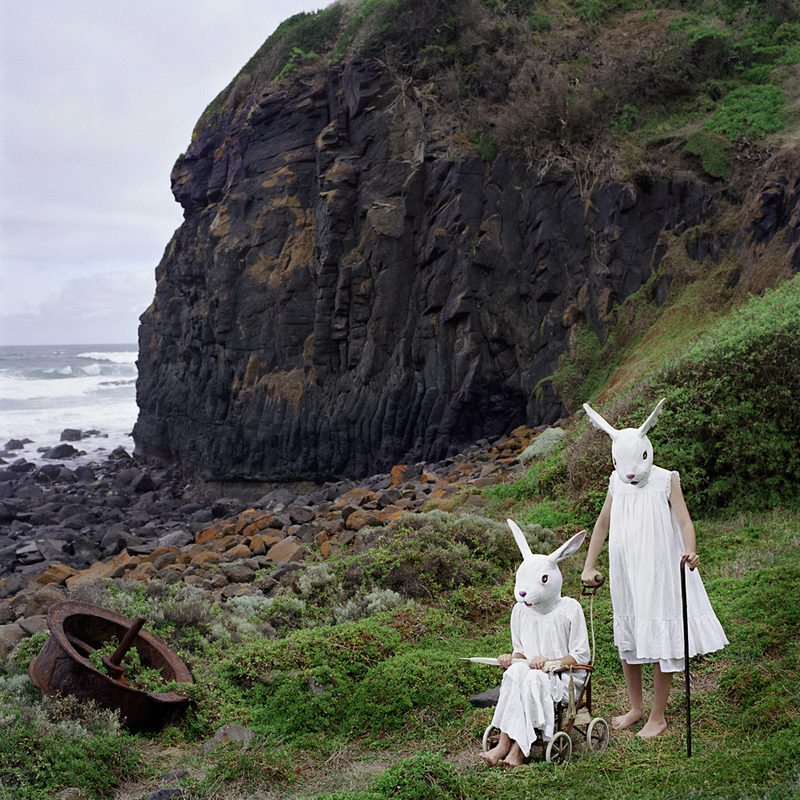 Polixeni Papapetrou lives and works in Melbourne, Victoria. She has shown her work in over forty solo exhibitions and participated in over seventy group exhibitions in Australia and internationally. 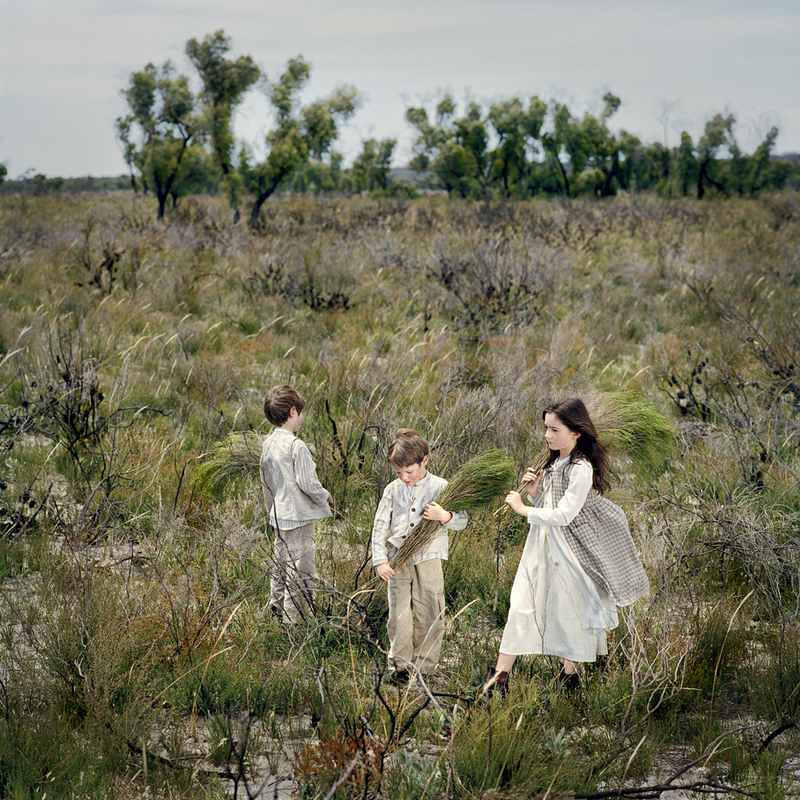 In 2009, she was the recipient of the Josephine Ulrick-Win Shubert Photography Award. 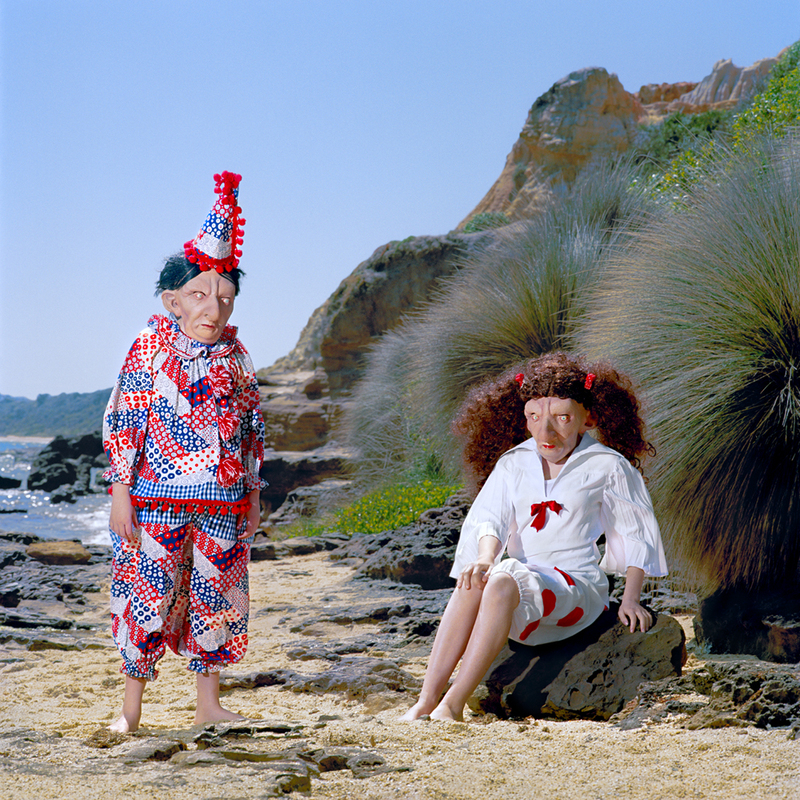 She is represented in private and institutional collections and has been awarded numerous grants from the Australia Council and Arts Victoria. 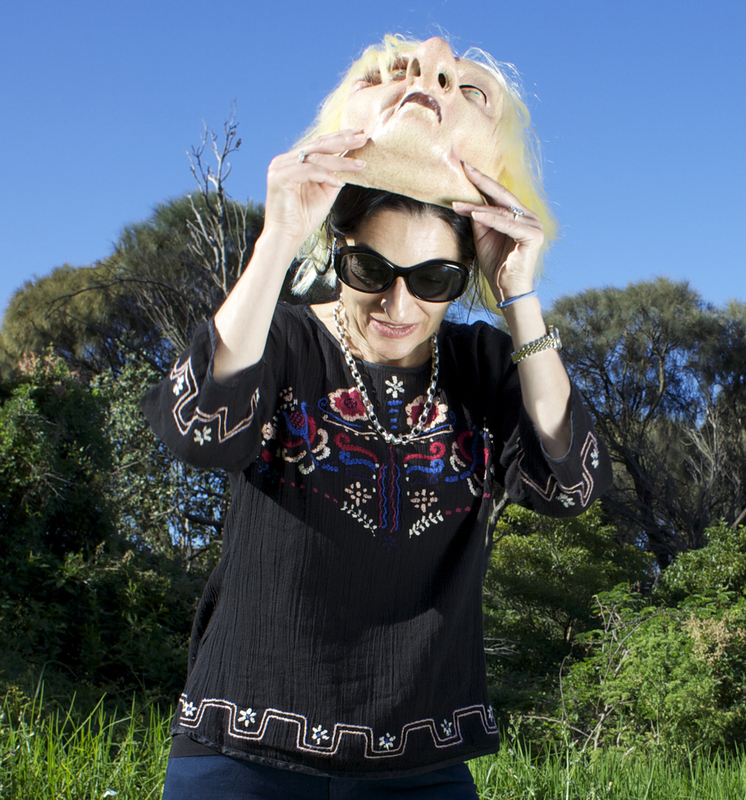 She holds the degrees of PhD 2007 (Monash University), MA Media Arts 1997 (RMIT University), Bachelor of Laws and Bachelor of Arts 1984, (University of Melbourne). When and how did you become interested in Photography? I worked as an attorney until 2000 when I decided to become full time artist. While working as a lawyer I had an interest in photography that went beyond looking to actually wanting to make images. I began studying photography as a part-time student in 1993. In 2007, I graduated with a PhD in fine arts from Monash University, Melbourne. So I did not have the usual entrance into the art world, coming into it much later than you would normally expect. What gear do you mainly shoot with? I use a Hasselblad 503 CW with either an 80 mm lens or a longer focal length lens of 150mm. For the past few years I have been using Kodak NC 160 film but I’m thinking of making a switch to another type of film. I still use film rather than work digitally probably more so out of habit than for any ideological reason. Digital photography is a more economical and efficient way to make pictures today, but I love the quality of film such as the grain (although my printer curses grain). I also like the way that film slows me down when I’m working and how it makes me consider every frame that I take. What is your #1 source of inspiration? I work with my children and the work is borne out of our experiences together. They are my inspiration. Every artist needs a muse. Many times photographers find themselves with a full schedule of paying gigs, ending up with little time for doing the work they truly love. Do you struggle with finding time for your personal work? I don’t work as a commercial photographer so I fortunately don’t have to divide my work between commercial and personal. I would find trying to balance the commercial vs personal very difficult and I’m relieved to say that I don’t have to resolve this problem. What is your all time favorite genre to shoot? Do you have any upcoming shows or events you want our readers to know about? What is the one thing you feel makes your style or your work unique? I think that there are many artists currently working with the subject matter of childhood, history, landscape or who create a narrative. I think that what makes my work different is that I combine all of these elements on location using the landscape as a backdrop to stage a drama and tell a story. My work is not made in Photoshop, but on location with camera and film. In the past this authenticity would not have been a point of difference, but it is becoming more so today. If you could photograph anyone, (past/present/future), who would it be and why? What a question. If I could photograph anyone before the invention of photography it would be Bach or Shakespeare-that’s a hard call. Being more realistic, however, and just going back to the 19th century, it would be mathematician, logician, story teller and photographer, Charles Dodgson or Lewis Carroll. He had a huge intellect and his contribution to academia and to cultural history has been profound. Today, I’d like photograph Cindy Sherman because I would like to dress her up in my costumes. Looking into the future, it would be amazing to photograph my children as old people, but I’ll be doing this from the other side with my invisible camera. What’s your dream photo field trip? Any landscape with good weather, nice light, some interesting cloud formations and not having to worry about deadly snakes and annoying flies in the Australian country side. What’s your post production process? If you had unlimited resources to purchase any type of camera, what would it be and why? A digital Hasselblad camera. I love the way that the Hasselblad feels and looks and the convenience of the digital capture would remove a couple of steps from the process I currently use. Who are your favorite photographers and why? I love the spectacle of the dress-ups and performance that appeared in 19th century French and English tableaux photography. The photographers who worked in the tableaux in the 19th century such as Julia Margaret Cameron, Lewis Carroll, Clementina Lady Hawarden and the photographers who photographed Hannah Cullwick and the Countess de Castiglione were ahead of their time. The Victorian photographers were dealing with the themes of illusion, symbolism, the imaginary, theatre and performance. Their work feels very contemporary to me. More recent photographers who work like this and inspire include, Jeff Wall, Ralph Eugene Meatyard who created a family of characters who performed narratives and Cindy Sherman who constantly presents us with an incredible array of characters and personalities. I’m intrigued by the way Yasumasa Morimura reinvents himself and the story-telling magic of Miwa Yanagi’s work. I admire the work of photographers who portray the world around them and in doing so also reveal as much about their inner world. 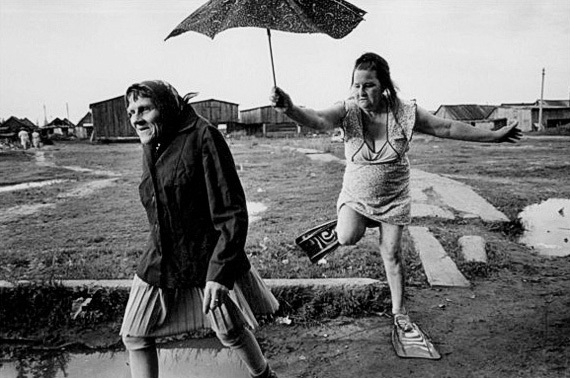 I’m talking about artists such as Diane Arbus, Roger Ballen, Richard Billingham, Martin Parr and Nan Goldin. What has been the shining moment of your career thus far? Do you have any tips/tricks or advice for amateur photo nerds who are looking to shoot full time or students who are just starting out? I would encourage photographers and students to find the subject matter that inspires them and gives them endless possibilities for interpretation. This is about finding your voice. You usually don’t have to travel very far to find your ideas because they may already be existing under your nose. I think that you must also think critically about what makes a good image. In other words, what is cliche, what is hackneyed, what is a stereotype, what is gratuitous, what is ideologically insensitive etc. Photography is easy in that anyone can take a bad picture, but it requires a lot of thought and work to create a good picture. What’s the soundtrack to your life and/or your favorite music to listen to while editing? When I go on my daily walk I listen to music which ranges from classical to 70s to what my friends send me. I have musician friends who send me their music and listening to their compositions is special. When I work, I work in silence. I love the silence as much as the music. what’s your favorite hang (when shooting or not)? Home, home and home. Everything I need to make me happy is there. Best chow (meal/snack) to get you ready for a shoot or best way to celebrate a brilliant capture? During the day it would have to be a toasted cheese sandwich made with quality bread and cheese and cooked to perfection! In the evening, I always have one good glass of red wine. will you share with us one of your favorite shots? I like The Loners from my series Between Worlds. It’s a comment about getting older and feeling more physically more fragile and vulnerable, even feeling more isolated as the world goes spinning past. In my picture, the rabbits in their old age have a quiet life and spend their time by going on walks by the ocean. Your favorite photo by another photographer? This is an impossible question and unanswerable. I can’t point to one photograph in the history of photography and single it out. My answer would change everyday as I discovered something new about a picture. So today it is going to be ‘Snow white’ by MiwaYanagi. 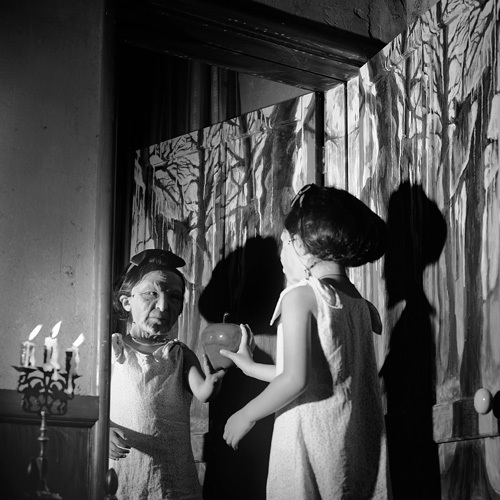 I love the double spookiness of the figure and the reflection in the mirror. Has your passion for photography changed at all since turning “pro”? I never considered myself turning pro as think that this type of terminology belongs in the commercial world. I make pictures which is something I have always loved doing, even before my work was recognized. Nothing has changed in this regard. Do you have a favorite / lucky item of clothing, outfit or uniform that you like to wear when shooting an important assignment or project? I’ve learned that it’s a good idea to wear the right shoes in the landscape. I have taken a few falls because I was wearing the wrong type of shoes. And being a Melbourne girl, the colour black is de riguer, whether I’m taking pictures or not. Are you a photography nerd or a camera gangsta? I’m just an Ebay gangsta. who would you like to see interviewed by photopolus next? Anna Gaskell. 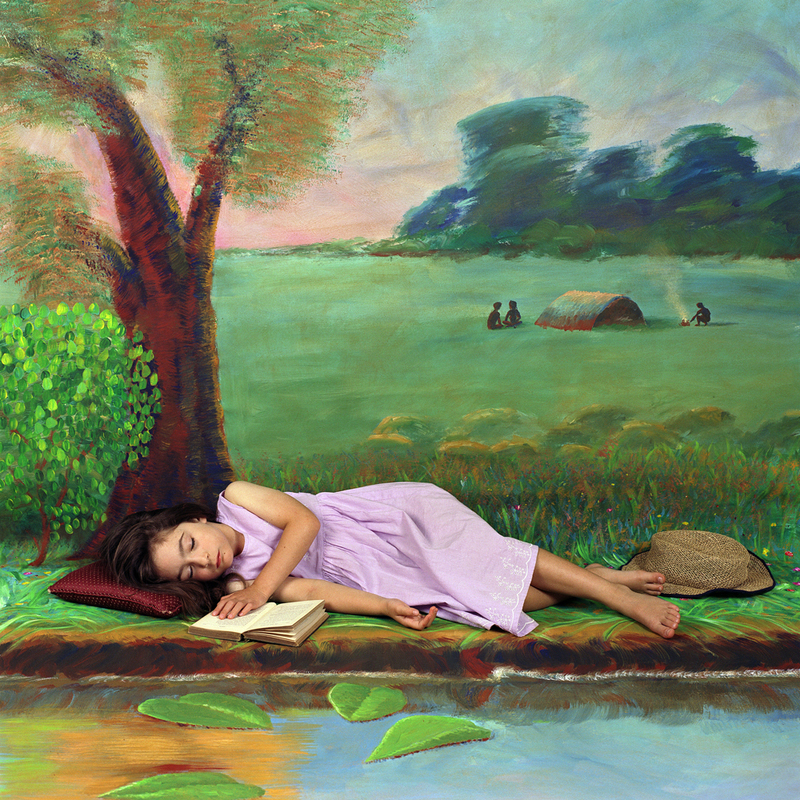 I love the way she creates narrative in her work. If you are a photographer and would like to be featured as a future/potential Art Star on our blog, email us! info@photopolus.com or ange@angefitzgerald.com, subject: Art Star. Leentje Schoofs, 27 years young, always needed something creative in her life in order to feel happy. When she was 5, she began to play the violin, at the age of 8 she also learned how to play the piano. She also took drawing classes. Many years later, after finishing university with both violin and piano degrees, she found a new way to express her creativity, hiding behind her camera. She takes pictures during the day, and looks at them at night. In 2007 I planned a 3 month trip to Australia. That was when I bought my first bridge camera. I learned how to play with shutter speed, diafragma and iso values. One and a half year later, I purchased my first DSLR, and never stopped taking pictures. I began with a 1000D, back in 2009. I used this camera until March this year. Then, the time was right to upgrade to a Canon 5DmarkII, which I use with the 50mm f/1.4, 85mm f/1.8 and 24-70 f/2.8 L. I also frequently use a 5 in 1 reflector, and, only when necessary, a speedlite 580 EXII. I’m in love with natural light. 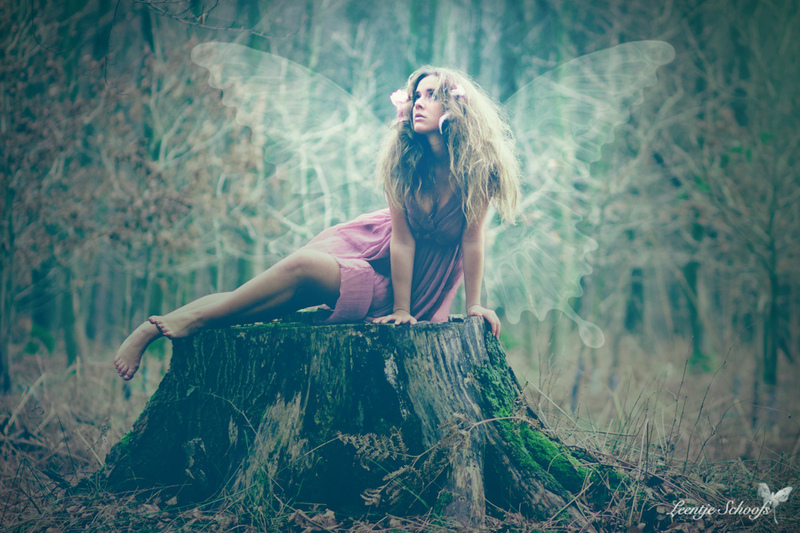 Dreams, fairy tales and nightmares. Butterflies and flowers. I have so many fairytale concepts in my head, which I really want to capture one day. I always write them down. The title of the concept is enough for me to remember the images in my head. I really try to make time for my personal work. Once every few weeks I try to do personal work, where I always search the right model and makeup artist for. This personal work is a series of images which are very detailed in my head. It’s sometimes a little bit hard to describe and explain to the other members of the team which particular image I have in mind, but so far, I always managed to get the sort of picture series I really wanted. What is your all time favorite genre to shoot (portraiture, conceptual, documentary, commercial, etc..)? I was published twice in a Dutch Photography Magazine. I’m always trying to get noticed on several online photography platforms, and got a few online publications as well, but so far, no big shows or events for me… yet. But I’m positive. My photography is unique in its own style I think. 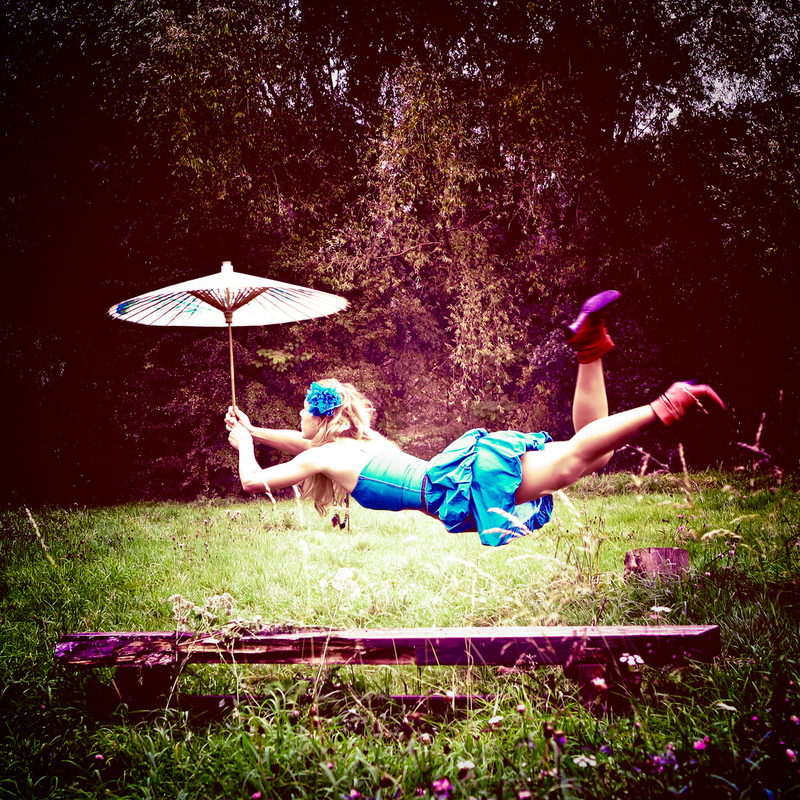 I don’t shoot ‘normal portraits’, but always try to include some surreal, dreamy concept in my work. Of course, a lot of post processing is involved in my style of photography. Every image is edited in my particular color pallet (hence my love for green-blue colors), which makes it very recognizable. I also work with a lot of brushes and textures in post processing, which is the best for adding these little details in the picture. I usually load all pictures in Lightroom, where I give a score to the best pictures. Then I do some basic processing in LR, color enhancements, split toning, vignetting, cropping… When the photo needs additional touch-up or adding textures or brushes, I load them into Photoshop. In photoshop, I usually use the curves, levels, and the other color tools, I use tools to soften skin, I work with different layers to make the eyes pop, and I also use the gradient tool quite a lot. I already have the camera I want, I don’t need another one. I only dream of some more lenses, like the 70-200L II, the 85mm f/1.2L and some more prime lenses… so I am saving my money…. 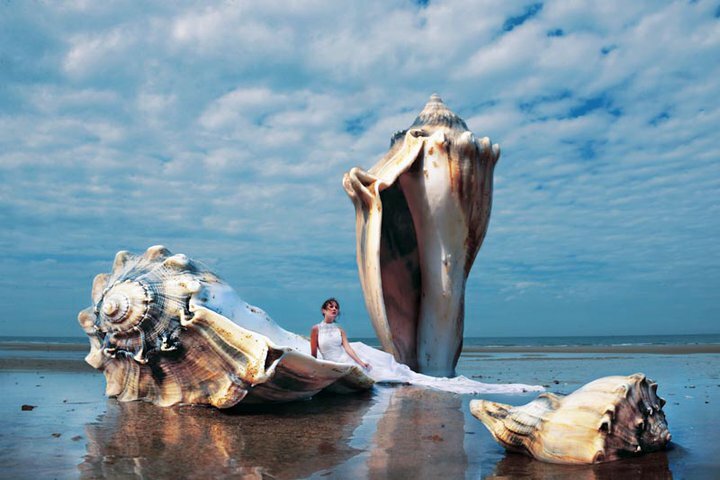 For art and conceptual dreamy photography: definitely the Belgian Selina de Maeyer. All, young people with a great sense for creativity! A couple of months ago I was searching for models. The months before, I just asked a friend to model for me, but I wanted to contact some semi-professional models. I sent emails to multiple girls, with the question if they wanted to work with me to expand our portfolios. I also asked Steffi de Greve (a beautiful Belgian model). She didn’t answer, probably because my portfolio wasn’t yet good enough. A couple of months later, she contacted me. I was euphoric, we did a shoot, and that was the best shoot I’ve done so far! Also, a friend of me asked to shoot her wedding. I told her ‘beware, I’ve never shot a wedding before’. She had faith in me, and began to create a lot of publicity for me on a Belgian wedding forum. Thanks to her, my summer and already a part of next year’s summer is fully booked with weddings! I learned photography all by myself. Trial and error. I was the model for myself, I started a self portrait challenge (365 project), and made a picture of myself every single day, 170 days in a row. Then I was sick of making pictures of myself. But I knew my camera, I learned a lot about post processing as well. And I felt confident enough to photograph not only myself, but also models. So… practice practice practice. If you don’t want to take self portraits, then go out as an assistant or student with a (semi)pro photographer. Use your eyes and constantly ask questions. That’s the best way to learn photography in my opinion. I’m a big fan of music, all kinds, but usually, when I edit pictures, I need silence. I also need to switch off Safari (Internet), cause I’m constantly distracted. My favorite music artists right now are Selah Sue, Arsenal, Absynth Minded (All Belgian btw), but also Robyn, and some other poppy-dance artists. In my free time, I love to sport (running, cycling, watersports), or walk in the fields, drink something in town… I really like to be outdoors. Always. best chow (meal/snack) to get you ready for a shoot? or best way to celebrate a brilliant capture? This is a shot from my most recent portfolio shoot “the girl who lived in her dreams” with the Belgian blond goddess 😉 Steffi de Greve. It was a concept I had in my mind for ages. She was the perfect model for this shoot. Sweet and innocent. But she can really handle all types of shoots! I really adore her sense for creativity. It’s like she is constantly dreaming. And her talent for post processing is beyond unbelievable. I admire her work so much I can stare for minutes to one single photo. I’m a very dangerous scorpio! If you ever had to compete in a scavenger hunt as a kid, you’ll probably remember it wasn’t very difficult. The clues were easy, the objects in plain sight and it was really only a race of speed, which made the scavenging part so unnecessary. Flash forward to now and the grown-up version of that competition really isn’t child’s play. 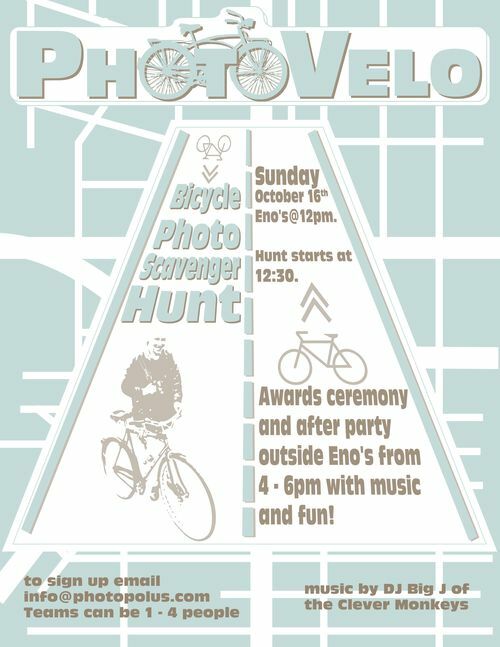 You need mental strength and a strategy to win adult scavenger hunts, and for PhotoVelo you also need a bike. Bike Friendly Oak Cliff is hosting their third annual bicycle photo scavenger hunt in which individuals and teams of two to four cyclists are given a list of items to photograph around Oak Cliff. All you need are your bike, map, a Sharpie and your camera. Oh, plus you need a place to print or develop your pictures, and we can tell you with certitude that Walgreens needs to take down that one-hour photo sign. So if you live in dark ages, have the darkroom ready to go when the race begins at 12:30 p.m. Sunday at Eno’s Pizza Tavern. You can register for free by emailing info@photopolus.com or showing up in person before noon on Sunday, and stay after the race ends at 4 p.m. for live music and an early dinner at Eno’s. The winner of PhotoVelo gets a free meal at Eno’s (up to $75), and second place snags tickets to the DMA. Hey, if you don’t win you got a free workout, so really everyone’s a winner. 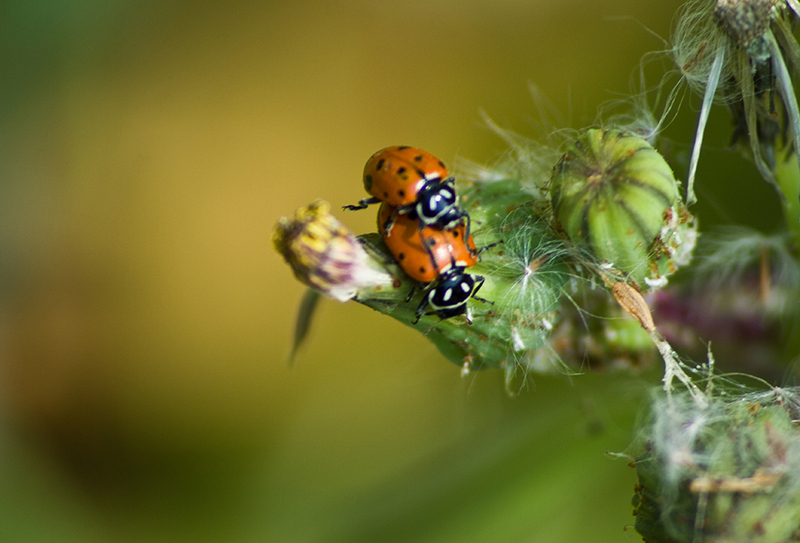 Sherry Muldoon of Dreamfocus Studio is a freelance photographer and graphic designer in Dallas, Texas. She currently shoots commercial, portrait, events and weddings on location or in studio. Her current assignments include art direction for Combined Scientific Staffing. Sherry specializes in children and events. 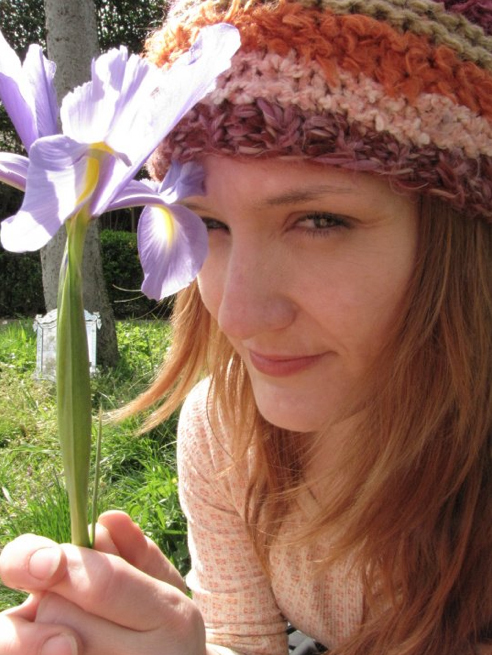 She also teaches the occasional “Photography Experience” workshop as well as one-on-one sessions. I had always observed and loved photography. About 6 years ago, a friend of mine gave me an old Minolta film camera and I went crazy!! Someone gave me permission to create and the passion was ignited. Canon 50D, 50mm 1.8 lens, 28-105mm, and 18-55 mm…..I’m a chronic lens changer. God…which pretty much sums up EVERYTHING. Everything inspires me: the beautiful, the ugly, nature, light, design, the abstract, the innocent, etc. Absolutely!! It was worse a year ago before I started free-lancing. I was working 60 hours a week as manager of a portrait studio which completely drained my passion for photography. I hardly shot any personal work for an entire year. I learned through that process why I chose photography as a profession and to never burn out on it. Working for myself has enabled me to provide more balance for myself and shoot more of the things that I love. Child portraiture. I love the innocence that kiddos bring to the camera. They are not tainted yet with worldly concerns and self-consciousness like us adults. 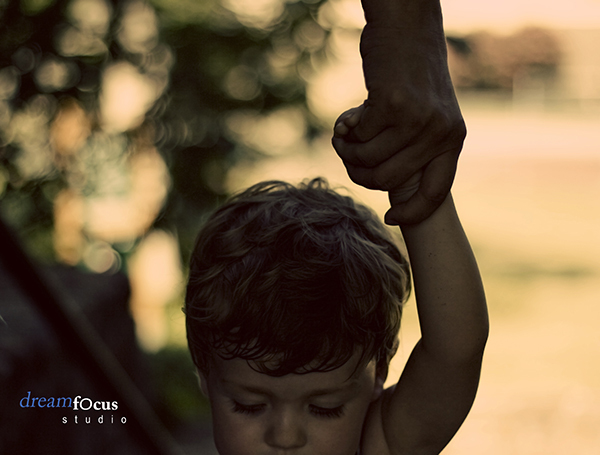 When I’m capturing children, I truly feel like I’m capturing a soul’s complete self. I’ve just finished my summer workshop schedule at Dreamfocus Studio. The “Photography Experience” is a series of workshops that I developed a year ago out of my frustration with certain photography instructors. I noticed that unfortunately some photographers develop these incredible egos that do not serve them. Then they try to teach the art of photography but end up keeping “secrets” about techniques for fear that their students may surpass them. Also visual people need to learn in visual ways. Therefore, I try to relay technical aspects in terms that an artist would understand. There’s more information on my website. I love unexpected moments and messages. Photography to me is more like experiencing signs that the Universe is trying to tell me. I’m try to have my signal open at all times. Jesus …. I would be curious to see how the light would fall on Him. Going anywhere that I haven’t been before…..
I’m still searching for that perfect lens. But, it would be really cool to have an underwater housing unit too. A few years ago I told myself that I would never want to be a free-lance photographer. I didn’t realize at the time that I was speaking out of fear. I did not want to “struggle” in what I felt was a saturated industry. After burning out at my studio job, a friend of mine called me to ask if I wanted to share studio space with her. The deal was so good, I knew that it was a sign from the Universe. All of a sudden, people started calling to hire me for events and photo gigs. I accepted the calling and am so glad I did. My life is so rewarding now that I can do what I love and serve others doing it. Do not get into this business unless you are truly passionate about it! I’ve trained a lot of young photographers and noticed two types: those who liked the “idea” of being a photographer and those who were completely obsessed. I can always spot the latter. They were the ones who would be in the studio trying different things and constantly pushing themselves to succeed. The former would whine and complain that there was nothing to do. If you have a camera, even if it is a simple point-and-shoot, you have a way to express yourself. So keep shooting!! And for God’s sake, get off of automatic modes and use your camera’s full potential. I love listening to Iron & Wine or Something in the Wheel. Bananas, great potassium for sore legs and fingers. This image was pure accident for me and speaks to me about my personal journey. Six years ago I was spending a lot of time in places like this (under bridges) but, not for the sake of art. 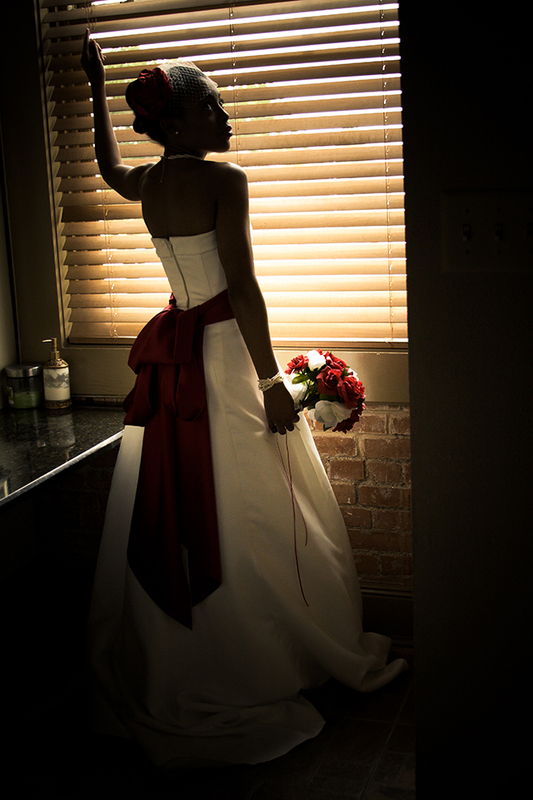 When I shot this image, I had just gotten married. Then I noticed the shoes hanging from the telephone wire and three figures walking out from behind the bridge. I was able to capture all of it in one frame. The photo represents the life that I left behind. This is how the Universe speaks to me through photography. 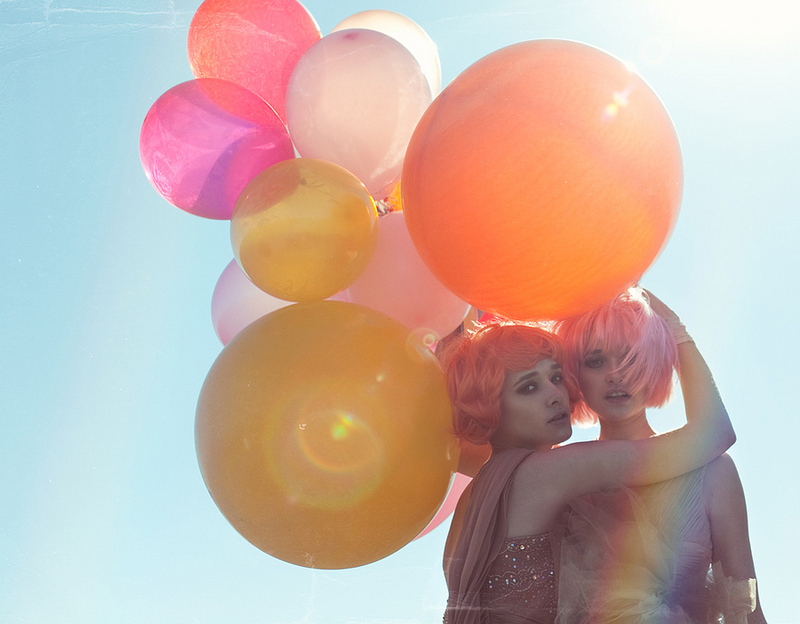 This light and colors in this image by Lara Jade just make me completely happy. Yes…it is always changing. That is what I love so much about it. In the beginning, it was just about preserving a moment in time. Now, I look for Spirit in imagery. I’m constantly changing myself with new concepts and techniques. I will never “arrive”, so to speak, in this art form and I love that! 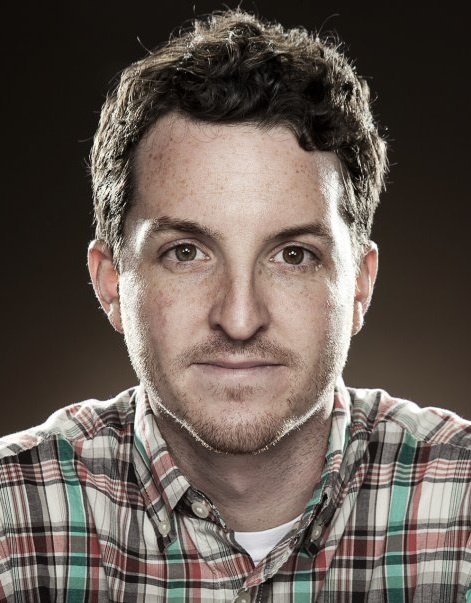 Matt Hawthorne is a Dallas based photographer specializing in action sports, fashion, lifestyle, and portraiture. Classically trained in fine art photography using large format cameras and film, he is always pushing his skills in the world of advertising. 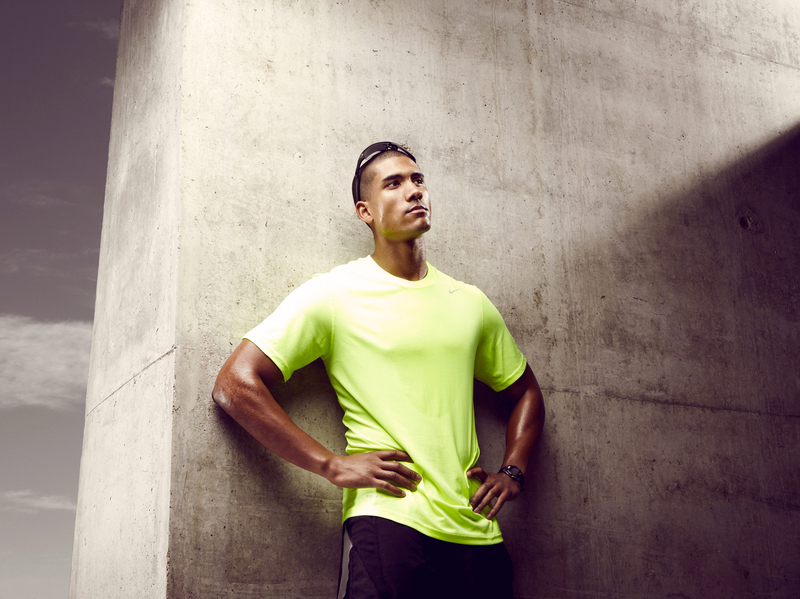 Shooting action sports, fashion, and large advertising jobs with full studio lighting in and out of studio with a full digital workflow, has lead him to regular work with clients such as Neiman Marcus, JC Penney, & Life Time Fitness. 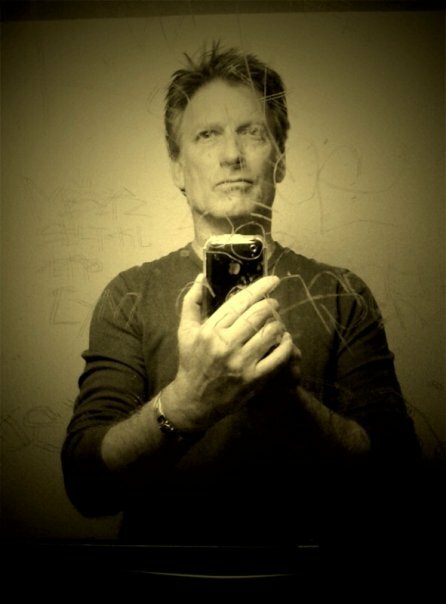 I was a Radio TV Film major in school, and also a sponsored skateboarder. My sponsors were always asking for images of myself, skating, for promotional purposes; so I asked my dad to show me how to use his old Olympus manual 35mm camera. I would set up the composition on a tripod and have a buddy snap the shot when I was in the air. 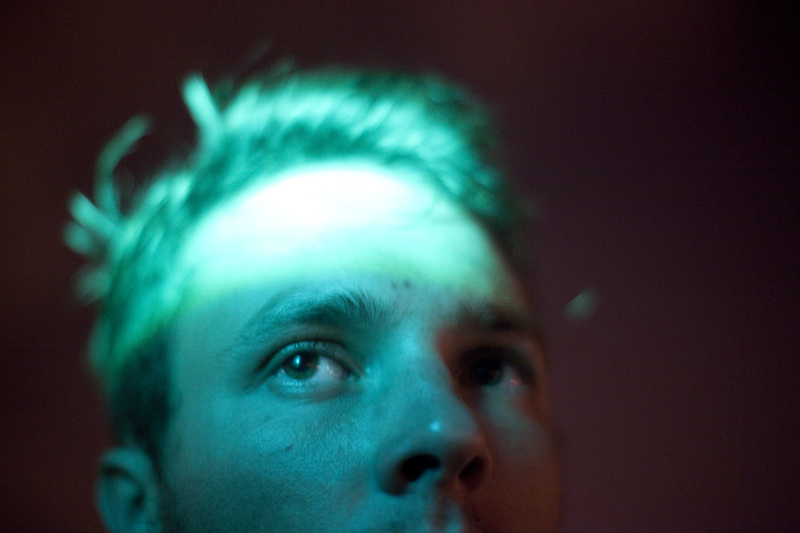 Eventually, this led to adding a fill flash to illuminate shadows on my face. The next thing I knew, I had four canon flashes on radio slaves and was changing my major to photography. I mainly shoot with the Canon 5D Mark II; but if a job requires larger files, I use the Hasselblad H3. I also have my photo assistants shoot behind the scenes video with another 5d Mark II. Lighting is primarily Profoto gear. Innovation and style; whether that comes from a photograph in a magazine, a trick from a skateboarder on a video, an amazing painting by a new artist, architecture, design, or a fresh take on fashion. I try to get inspired by the things I shoot, rather than by the way someone else shot them. I have been fortunate enough to make a career out of my favorite hobby. My schedule does get crazy, but luckily most the jobs I’m shooting are exactly the type of photography I want to be doing anyway. The jobs I shoot, do provide me with many portfolio images, as every job is shot in a way to do so. With that said, there are always shoots I want to organize for myself and the time just has to be made for them to happen. I enjoy commercial work the best because I love collaborating with stylist, hair and make up artists and producers; to take the quality of the image a step further than I could achieve myself. 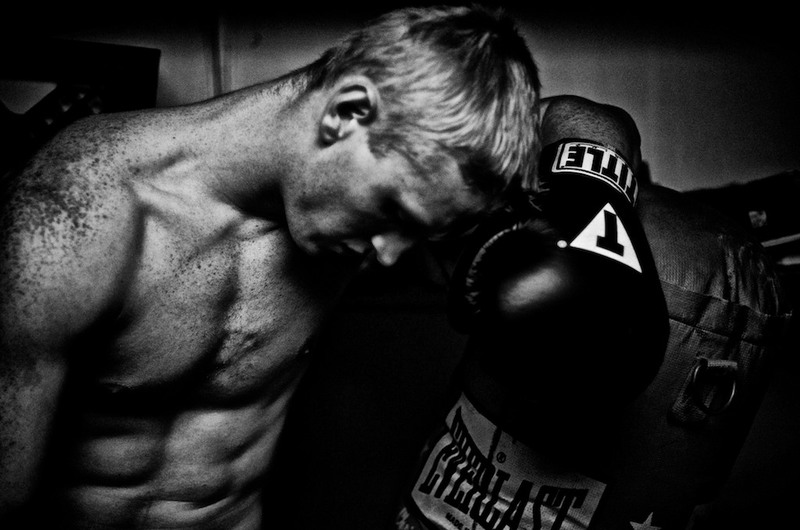 Sports photography is probably my favorite, with fashion, trailing close behind. I have a basic love for shooting people. I have a close connection and interest to the skateboarding, urban sports, and street-fashion culture, which helps me understand what is popular and current, in those industries. Clients trust my opinion and direction due to my ability to relate in that way. That’s a tough question, but it would have to be either the Beastie Boys, artist Barry McGee, or Sade! Shooting fashion in Rome, I visited there a couple years ago, and the textures and architecture are amazing. I do handle all retouching myself. I feel like there are three steps to an image and all are very important. The conception of an idea, creating the image in camera with lighting and production, and enhancing / retouching in post. The final step in post is crucial, because that is where I can spend time to finesse and complete the exact, final image, I had envisioned in pre production. Every image is different; but most of the time it is just a matter of fine-tuning, enhancing, color treating and cleaning things up. When it gets tricky is when we have to change sky or backgrounds, move models completely from another frame or compositing. Unlimited Polaroid film for my Polaroid SLR 680, no doubt! Well, this list is constantly changing; but Richard Avedon caught my eye first, with his talent in shooting portraits but his fashion and commercial work are amazing as well. My favorite shooters tend to not be commercial shooters, instead I find myself following more fine art shooters, such as: Todd Hido, Sze Tsung Leong, Cedric Delsaux, Julius Shulman, Raymond Meeks, Edward Burtynsky and Chuck Close. Some commercial shooters that inspire me are Carlos Serrao, Steven Lippman, Troyt Coburn, Gray Scott and Tim Tadder. All of these are incredible shooters! 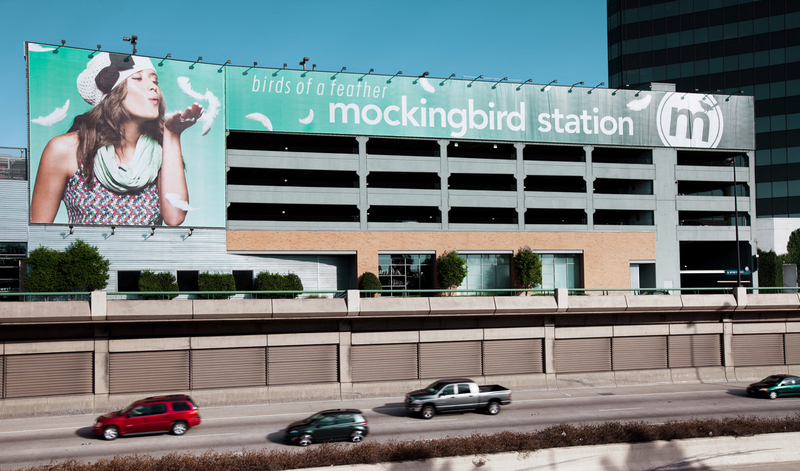 One shoot that has gotten me a lot of attention was for a Dallas shopping center called Mockingbird Station. I’ve done a couple fashion campaigns for them in which they have run several billboards, ads everywhere, and a huge parking garage size billboard, on the freeway. I drive past it on my route to the studio and am amazed at it everyday. It’s pretty cool to see your photograph 6 stories tall, on the freeway! Assist photographers who shoot what you are interested in and PAY ATTENTION! Don’t get lazy because that’s when you will fall behind. Keep shooting, constantly! Then, once your book is ready, have postcards made and mail them to everyone you know! I always say that my ipod / boombox is the second most important thing to my camera, at a shoot. Music gets everyone in the right mood or to a comfortable place where they can open up and relax in front of the camera. When it’s quiet, everyone feels the tension. On set, I’m a hip hop kinda guy, or at least something with a good beat like RATATAT or M.I.A. that keeps good energy during a shot. While editing, I listen to something more chill, like Local Natives or Milosh. My wife and I just bought and fully remodeled a home, so at the moment my favorite hang is at the house, everything there is exactly right! Plus, my wife is about to give birth to our first baby so it’s great spending time with her! Hmm, I don’t eat much during a shoot, I think my adrenaline just keeps me going. But Sunkist is always on set. will you share with us one of your favorite shots? why is this your fave? 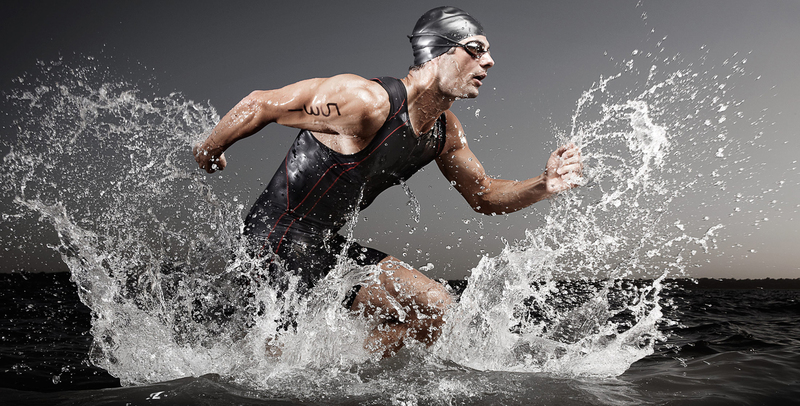 This was shot for Life Time Fitness, from a triathlon triptych. I’m not sure it’s my favorite, I love so many, but this is one I’m really proud of. I tested, freezing action lighting, prior to the shoot, then shot on location with no compositing, had a set with lights in the water and tow-able generators, all within a half day’s production. This shot was incredibly involved and difficult to accomplish, but we nailed it exactly as I’d envisioned! Lots of planning, brainstorming, and testing went into this shot, for sure! Are you kidding, that’s a hard one! Well, I’ll have to default to an Avedon photo, from his American West series because these images are what inspired me to push from action skateboarding to studio portraiture, which then led to the commercial look I have now. The Amon Carter Museum in Fort Worth was a couple miles from my college, so having these images on display for me to see in person, whenever I wanted, was a huge inspiration. 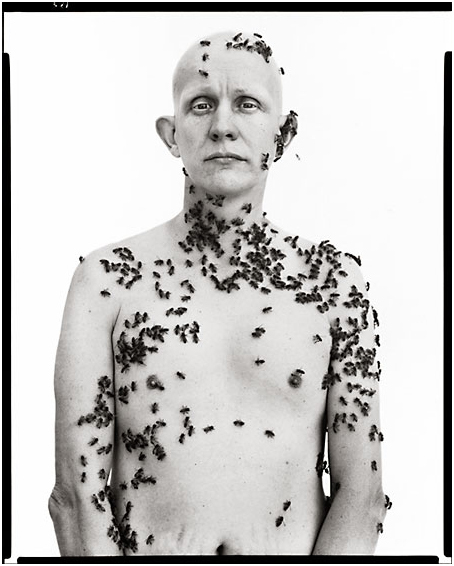 And I love the story behind the “Bee Man”. I wouldn’t say my passion has changed, but expectations for myself change constantly. Also, I always heard from commercial shooters that being a professional photographer is 10% creating imagery and 90% business and production. I can say that’s pretty accurate, but having a good rep and producer can help to make that not so extreme. I wouldn’t call it my good luck charm at all, but my ipod / boombox is probably the closest thing to one, I don’t leave the studio without it! Hmm, I’ll pick Gangsta and leave the “Photography Nerd” title to my digital tech David who keeps me up and running! The Gangsta title also fits cause of the Hip Hop constantly blasting on set! I don’t even know, that might say something… August. (I can’t announce formally just yet), opening next spring. New works of iPhone photography from around the world from a number of incredible artists who are a part of this global, and emergent art community. Pixels: The Art of the iPhone is an astounding show, and will run until October 30. Please join us at the reception. Several of the artists will be there. Wed, Thu, Fri, Sat. : 11 a.m. to 6 p.m.
Sunday: Noon to 6 p.m. The OPENING RECEPTION is this Saturday, September 24, 6 to 10 p.m. It is possible to see the gallery by appointment. Please write us info@pixelsatanexhibition.com or call 510-612-6124. 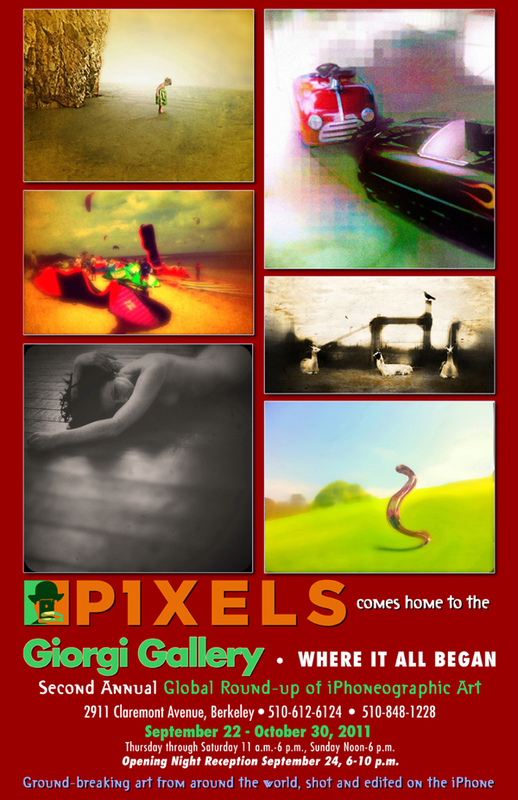 Don’t forget that we receive new images every day from around the world at Pixels At An Exhibition. Everyone needs a dose of beauty on a daily basis! So, yes, this is an amazing and exciting show … I hope you all can make it. I was born in Buffalo, New York on the snowiest day of 1988 to Holly & Larry – a restaurant manager and a train repairman. My earliest memories were of the cultural ephemera that now plays a central theme in my fascination with the world – old Italian men sitting on plastic stools outside the corner cafe playing checkers; abandoned factories that used to harbor the workforce of the city (yet still buzzing with energy); small, front-lawn gardens immaculately manicured with scissors on Sunday mornings, sitting adjacent to vacant lots filled with yesterdays trash and the occasional syringe. By age 5 we packed up and moved to a Pleasantville-like setting – a historic village filled with polite people, smiling children, a modest backyard and a swelling flood of trees. I was a difficult child, always feeling slightly out of place, so I spent the next 12 years testing my parents patience and questioning every single convention that authority could throw at me. We didn’t have an art program so I spent most of my time speaking out of turn or quietly watching from the corner, taking notes on little things that seemed human and could validate that I was, in fact, in the same room as the heat-seeping bodies around me. After that I went to an over-priced art school in Boston and took the train at 5am to New York almost daily, where I freelanced as a graphic designer/video editor/whatever-media-you’d-be-willing-to-pay-me-for. I always had trouble sitting still, and found a way to keep in constant motion, so by 18 had started traveling to Japan, Indonesia, Vietnam and Thailand a few times a year, shooting whatever assignments would pay for the ticket to get out of the mundane. I ended up photographing for a few record labels, and even convinced a few people to fund some short films. I started directing music videos and the occasional commercial spot, taking on more social documentary work and private commissions to fill every moment of free time. Since 2010 I’ve lived between New York and Bali, Indonesia, balancing two different worlds; inspecting them in constant comparison to each other, to create a spark, whenever needed. I feel at my best always being half in one world, half in another. 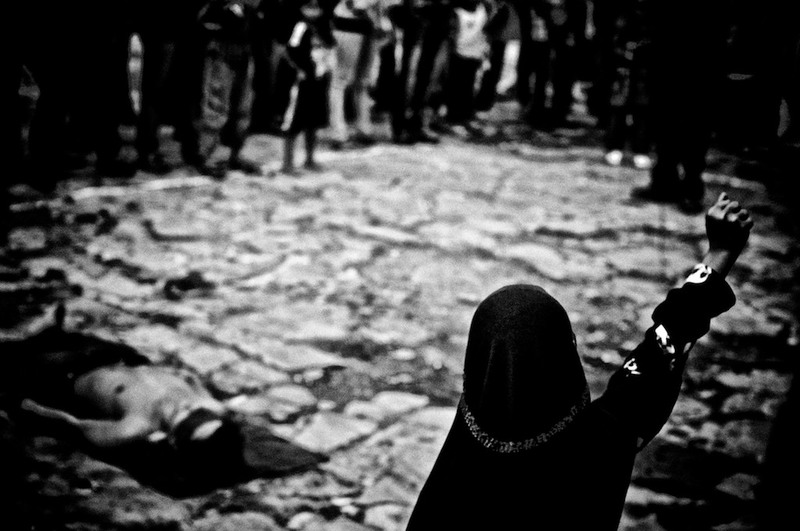 The camera as a tool allows me to make sense of these otherwise disparate realities. A human thread runs through every moment, as meditations on life in times of subversion, trial, and disaster become answers to the everyday, only magnified by lens or circumstance. I figured out the concept of a “frame” while looking through train windows on a trip around the US. I think I was 16. Whatever fits the subject/whatever I can find! Disposable cameras, cell phones, an old Olympus Pen E, the beautiful Ms. Holga, a pair of Hassellblad 500cm’s, a Konica 35mm from a garage sale. Occasionally I get fancy and use a digi Nikon. I’ve been playing with a Tachinara a bit lately. A lot of b/w. Mostly available light. Always primes. There are far too many! Our world is over-saturated with all kinds of imagery, all kinds of sensory experiences. They can all translate to a photograph, a film…. it just depends on how you metabolize them. But I would say, my #1 trigger, how I get in the zone – is music. I make sure that it all feels like personal work. It has to be or I wouldn’t do a good job. I suppose everything that I shoot is a form of portraiture. I’m interested in interactions with people, and the camera as a secondary tool. My work spans across documentary, editorial, and commercial mediums, though I admittedly try to use all of them as a way to frame my view on the world, to get an idea out there. Right now I’m shooting this short film/music video in Bali, for Emil & Friends, a band in Brooklyn. Years of images crammed into a pretty surreal 7 minutes. I suppose it’s a very personal piece. The guys at Cantora have been very supportive – they seem to really treat artists with respect. We’ve worked together over the past few years on a number of projects, and I’m always excited by what comes out of it. I think we really push each other to do our best work. I also just found out that I have a show going up next spring in Australia – portraits I did with SurfAid International in the aftermath of the 2010 Mentawai Tsunami. There’s also talks on the table about a monograph being released here in Indonesia – for an ongoing project that I’ve been shooting across Sumatra, Java, Sulawesi, and Bali over the last few years. Not sure about dates yet – when I have more information I’ll put it up on my website. I really try to spend time with my subjects. I make every attempt to understand them, to have them open up, to trust me. To show me the scars, the insecurities – I show them mine too. I’d love to have a beer with Vincent Gallo, and talk about missed field goals. There isn’t a place in the world that I wouldn’t go, or haven’t thought of going….. but right now, I’ve been trying to figure out a way to take a good 6 months to walk across Mongolia, traveling with nomads – West to East. Very limited. I find that computers don’t last long in my bag (or in the tropical climate here). I try to keep it simple. Film answers most of that for you. If it’s digital, I do a bit of tweaking in Aperture 3 – mostly curves, a bit of toning. 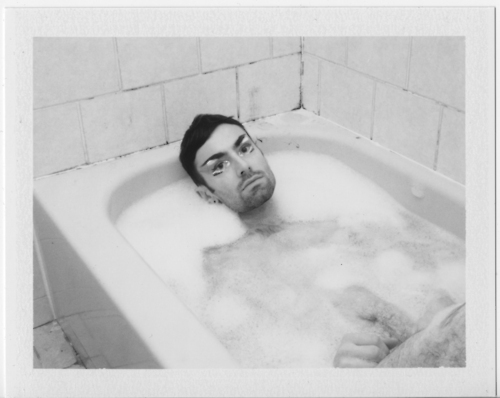 I have to say that I’ve considered selling a kidney to get my hands on a Polaroid 20×24. I’d also be willing to donate some blood for a Leica M9 and Zeiss primes. Martin Schoeller – his manipulation of the camera as an apparatus. Irving Penn – his light. Nan Goldin – her subjects. 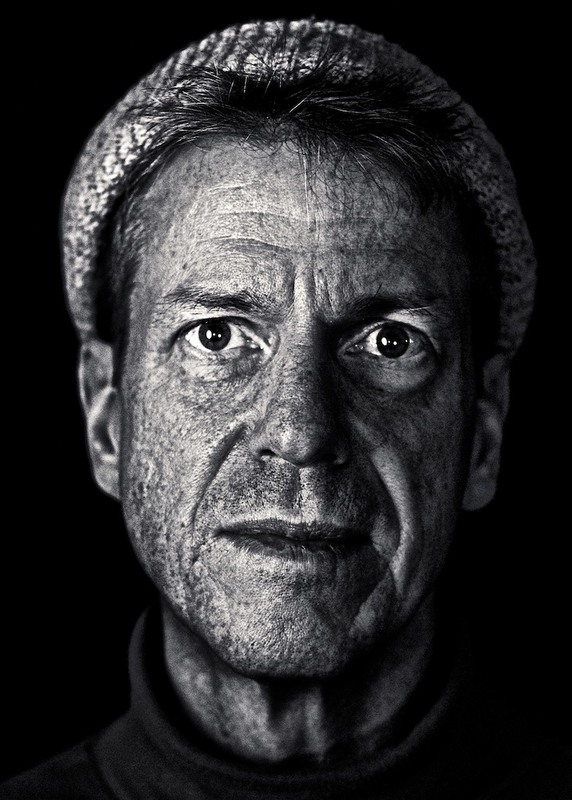 I also think Mikael Kennedy is doing some outstanding work at the moment. I don’t ever think that I’ve really had that moment yet. I hope it’s around the corner. Force yourself to be totally uncomfortable; at that point, the only way to transcend fear is to press the shutter. I have a lot of friends in many an unheard of band. I listen to a lot of their music. Lately I’ve been revisiting the soundtracks of old Satyajit Ray films. I find small pieces of home all over the globe, but tend to be attracted to the dive bars (and subsequent late-night/early morning diners) where the eccentric and misunderstood convene. A few notables :: Croke Park–>Mul’s (Whitey’s) in South Boston; The Bar Bill—>Charlie’s Diner in East Aurora, NY; a few little wooden pubs in Shibuya—> all night Yakitori in Kubikicho. best chow (meal/snack) to get you ready for a shoot? Big, greasy diner breakfasts and black coffee run in my blood. It’s the perfect way to start every day (or end some long nights). It’s from a few years back. My father looked at me, and told me he was proud of me. It was right before he went out at 9p to go work in the -15F cold. If I’ve ever had a “big break”, that felt like it. I collect bits of visual inspiration across different mediums every day – I keep them in binders or scattered across my computer. It all influences me; I’m continually amazed by the great work out there. 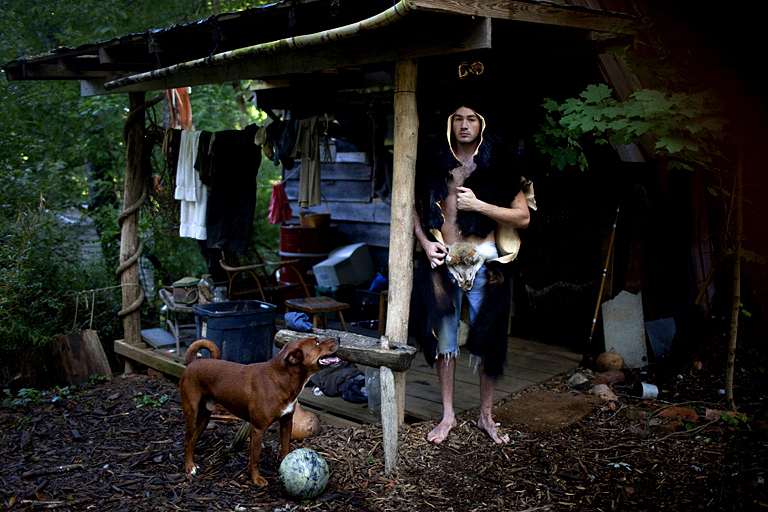 Today I was looking at some of Ryan Pfluger’s work – this image jumped out at me. It captures the subject in such a delicate moment. It’s a true interaction. Absolutely not. I still work to support a hobby/addiction – I just get to shoot more film now. I always carry a few small items from my family with me – small reminders of (at times) a distant place. I’d say I’m a person who is interested in people, and happens to own a camera. Gangsta I guess? my friend Mitch Weiss, up in Boston. Stunning portraitist. Attention to lighting and detail (as well as his shooting method) remind me of Karsh. After bouncing around the United States interning in the photography department of various media organizations, Tim Hussin has embarked with his brother, Noah on a personal project that is all consuming: biking across the United States shooting short films about communities that are re-localizing culture and economy in innovative ways. They publish their stories at www.americarecycled.org. The project itself reflects the ideals of the communities they are documenting, avoiding corporate sponsorship and advertising. Traveling on recycled bicycles, the brothers immerse themselves in the lives of their subjects, often living with them for the duration of the process. 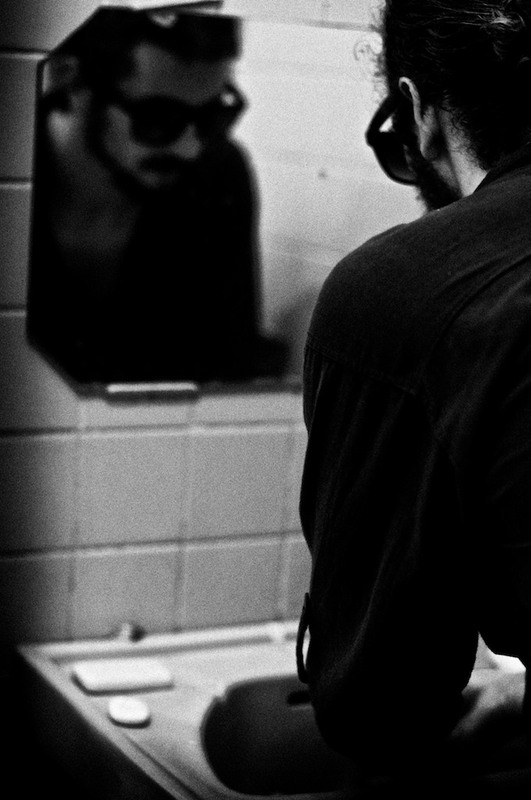 By straddling the line between observers and participants, the brothers act as a personal connection to their audience. 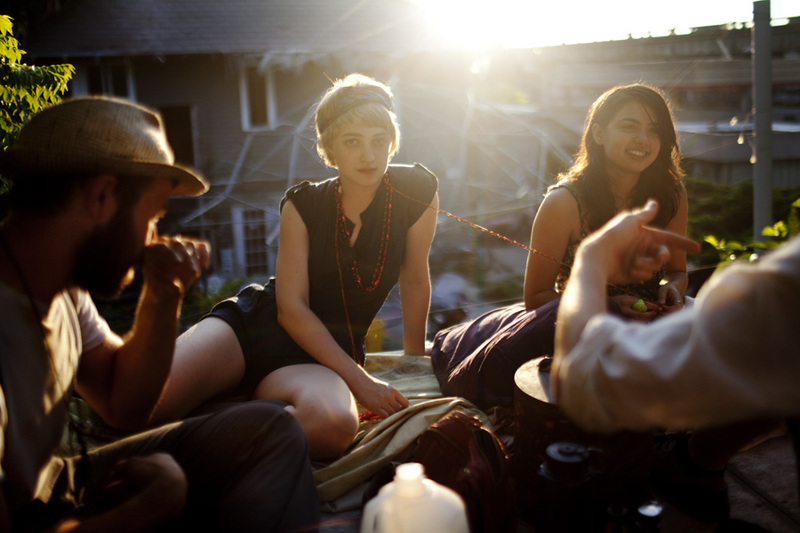 They hope to offer a more intimate and honest portrayal of the communities that embrace them. Ever since I was little I would have a cheap camera whenever my family would go on vacations. When my grandfather passed away he gave his SLR film camera to my sister, who eventually gave it to me. I photographed trees, plants and mushrooms with strange colored filters until I became interested in photographing and learning more about people. I studied journalism at the University of Florida, where I started working for the student newspaper. I was very proactive about it and climbed a ladder of sorts until I won the College Photographer of the Year contest run by the University of Missouri and was awarded an internship at National Geographic Magazine. Although very grateful for the support and nurturing from editors and photographers along the way, I became somewhat disillusioned by certain aspects of the photo industry and decided I needed to do my own project, free of direct external influence. I use a Canon 5d MII and prime lenses. I only do personal work. I do get a rare paying gig here or there, but it doesn’t distract me at all from what I’m working toward. It’s very hard for me to pinpoint my style, as it would be easier for someone else to do that. But, I do think my work is a bit different though because it is generally romantic and uplifting. I tend to look at the beauty in things and the subtleties in life. For my current project, I am spending a significant amount of time with people so I hope for the images and stories we tell to be more intimate and sensitive than quick assignment work can offer. I’d like to go back in time to last Halloween and photograph my friends who got into a gym sauna in parts of their costume. I was there but didn’t have my camera. The image that’s burned into my mind that I don’t have on film is my friend Rob showering in a corner with spotted tiles with sparkly green short shorts and a bear jaw gold necklace around his neck. It’s very long and somewhat complicated. Since we are producing films, there is a lot of transcription, organization and video/photo processing. We create a script that the film is based off of from the interviews we gather then fill in the visuals. So, there is a lot of work to be done before we even start with editing in Final Cut Pro. I don’t value money, and I’m not a gear head. I’m fine with what I have and have always worked with the resources available to me. Great images can be made with cheap cameras. It’s more about the sensibilities and ideas of the visual artist. Although sometimes inevitable, I try not to idolize photographers as I don’t think that’s the purpose of what we do, especially in the documentary field. The photographers I respect most don’t care about that and approach their life and work as a compassionate person first and foremost. I enjoy those that are not part of the hustle and shoot because they love to. As everyone says, find stories in your own backyard. Those are the ones that you understand best and you can tell in the most intimate and interesting way. Find what inspires you and makes you want to carry on in this life and consider photographing that. Start there and then branch out. Bagels…Brilliant capture for me? I just keep shooting. My favorite photo is usually the last decent one I took. This one is after my brother and I stayed up all night brainstorming the story we are going to tell in New Orleans. We went outside to our backyard and found some folks who were hanging out on top of the stage who were on a cross country road trip. The sun was rising and everyone was in a good mood. My passion for photography is always evolving and changing. I’m always learning what my role is in the stories I tell and am learning about what affect my pictures have on people as well as myself. This is a life-long process.